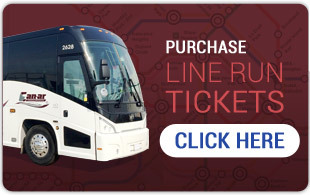 Bus rentals in Toronto, Vaughan, Mississauga, Scarborough and other cities across Southern Ontario come with more perks than one might assume — particularly when booking through Can-ar Coach. One of the biggest upsides to opting for our fleet is our array of bus sizes to suit your traveling needs, and this benefit is particularly relished by large groups like sports teams in Toronto, around the GTA and across Southern Ontario. Baseball season is upon us, and whether you play for the big league or the little, you’re going to need to transport your bat-swinging, base-jumping team from one place to the next in the most comfortable and efficient way possible. 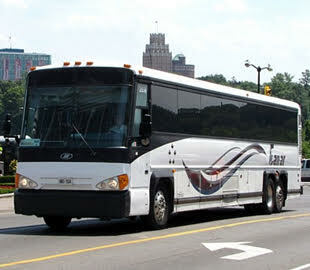 For over three decades, Can-ar Coach has taken teams from Point A to Point B, making sure everyone arrives not only on time, but also in good spirits, having enjoyed a stress-free and roomy travel experience. Maybe your group is heading from one town’s baseball field to the next, or maybe you’re bound for the Toronto Pearson International Airport — but no matter your destination, Can-ar’s brilliant collection of luxury coaches and team of carefully trained drivers make sure that the only thing on your mind during the drive is your next big game. Ranging from 12-seater Mini Vans to 57-seater Activities Coaches, our vehicles pose the perfect traveling method for more than just sports teams. They provide a cosy yet sophisticated ride for group trips to the casino, to the airport, to various events, to sporting areas like ski and snowboarding hills, and even to malls for group shopping trips. If you and your “team” are on the hunt for a safe and spacious ride to your Point B, go with Can-ar Coach, the favourite of travelers in Toronto, the GTA and across Southern Ontario. Connect with us today to discover how our own seasoned team can help yours get to where it needs to go.